There’s a lot to think about in the new MacBook line. The aluminum MacBooks are unquestionably what I wanted in the white MacBook that I have now: sturdy construction, fast graphics, and a sleek powerbook look to them. Apple has further blurred the line between their professional and consumer line, something they started with the aluminum iMac, continued with the MacBook Air, and now have completed with the MacBook. Wow, nothing makes me want to max out my credit card like a Stevenote with some really great stuff. The one thing that I would say I question about the new MacBook line is the glass trackpad. Apple has finally gotten rid of their one-button mouse… now there is no mouse at all! There is no button to press for either right or left click. 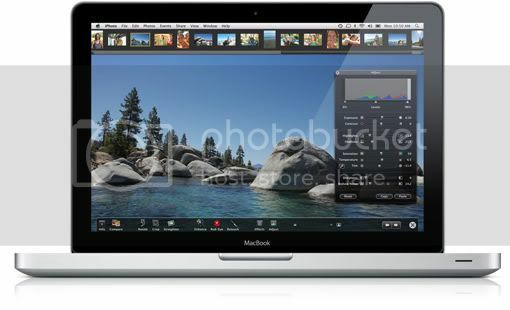 Now, the entire trackpad is a button, and you can use multi-touch gestures and press down on the trackpad to click. I told my wife about this, she rolled her eyes and walked off. She, my ideal “everyuser”, decided to get a PC last month, and the lack of two buttons on the current MacBooks was one of the reasons. I believe that will take some getting used to. It is interesting to note that Apple, after pioneering the mouse and the GUI back in the 80’s is now pioneering moving away from the mouse by integrating multi-touch devices into their product line. I wonder how long it will be till they release a multi-touch USB trackpad for their desktop line.